Goodbye Uncle Monty. 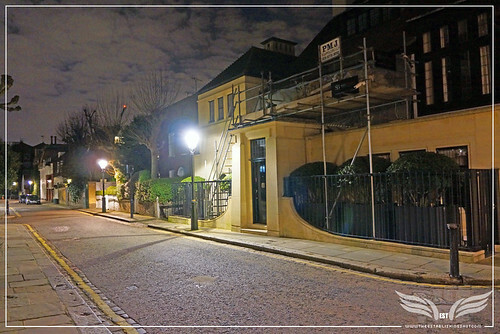 Uncle Monty's London pad is about 5 minutes from me and I pass nearby regularly if not daily. But something always gets in the way of me posting about it - however its timing now makes a fitting goodbye to Uncle Monty or rather the man who brought him to life so wonderfully - Richard Griffiths OBE. Of course, one role does not make or tell the story of the man who brought almost a 100 memorable and colourful characters to life in cinemas, on TV as well as on stage. Despite an illustrious career spanning 5 decades and roles in films like; Milos Forman's Ragtime, The French Lieutenant's Woman, Hugh Hudson's Chariots of Fire, Superman II, Gandhi,The Naked Gun 2½: The Smell of Fear, Greystoke: The Legend of Tarzan, Lord of the Apes, Tim Burton's Sleepy Hollow, The Hitchhiker's Guide to the Galaxy, Pirates of the Caribbean: On Stranger Tides, Martin Scorsese's Hugo, the role that brought him to a new generation as Uncle Vernon Dursley in the Harry Potter series and seeing him recently on stage with Danny Devito in The Sunshine Boys. 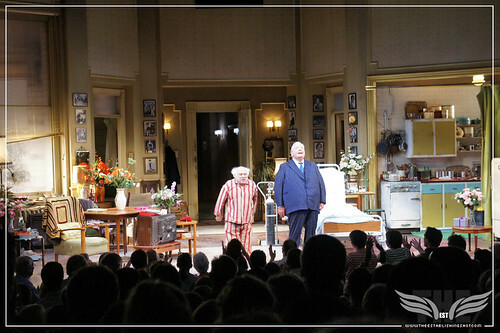 The Establishing Shot: The Sunshine Boys at The Savoy Theater - Danny DeVito and Richard Griffiths, a photo by Craig Grobler on Flickr. I will always remember Richard Griffiths as Uncle Monty in the great Withnail & I. For many Withnail & I with its endearing story of two failing actors; Withnail (Richard E. Grant) and I or Marwood (Paul McGann) floundering whilst coming to terms (or not) with their career choices has come to be a, if not the, quintessential British Cult classic film of our age. As with many great cult films it is not the story that takes precedence but rather the characters (and by proxy the actors performances in bringing those characters to life), the situations they find themselves in and the personalities they encounter. So it is with Withnail & I. 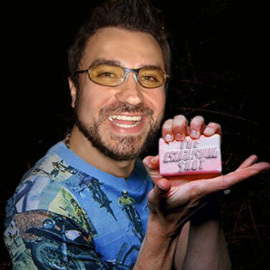 The film that kicked off many a student drinking game for me. Of course there is no home as closely associated with Uncle Monty or indeed Withnail & I as Uncle Monty's Cottage - Crow Cragg or rather Sleddale Hall where Withnail & Marwood go on holiday by mistake and the very reason they visit Uncle Monty at his Chelsea Pad the location at the focus of this post, in the first place. But visiting Sledding Hall in Cumbria will have to wait for another time. The Establishing Shot: WITHNAIL & I FILM LOCATION - GLEBE PLACE WHERE WITHNAIL & MARWOOD PARK VISITING UNCLE MONTY, a photo by Craig Grobler on Flickr. The Establishing Shot: WITHNAIL & I FILM LOCATION - UNCLE MONTY&#39;S LONDON HOME, a photo by Craig Grobler on Flickr. Monty: Oh hello. Come in. 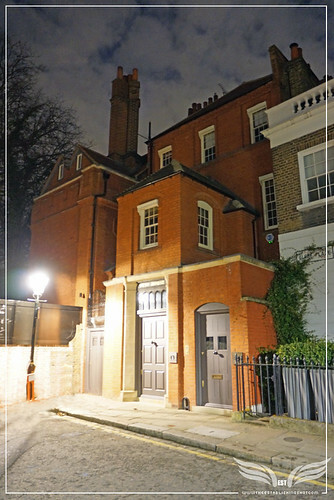 Monty's absolutely stunning London home, may be a world away from Withnail & Marwood's squalid bedsit but is actually located in the tucked away elbow of the very charming Glebe Place, just off King's Road in Chelsea. 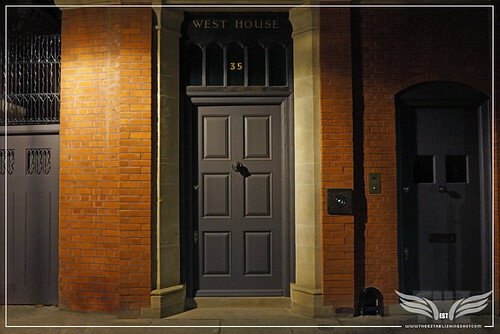 Over the years many creatives have taken residence in Glebe Place and it has become a very sought after address. Visiting Glebe Place you may notice the neighbours fence and facade seen diagonally across from Monty's place and in Withnail & I pull up in their repaired Jag may look updated and modernised and Uncle Monty's door (and recently the knocker) has been replaced when the pad's new owner renovated his home but none of the familiarity or charm of Uncle Monty's West House, 35 Glebe Place, London, SW3 5JP has been lost. I'll add some photos of the original door after I have found them. By the way as someone requested it - the song that Monty is playing is: Franz Schubert's Piano Sonata in B Flat Major (D960 lll Scherzo: Allegro Vivace Con Delicatezza). It’s 1969 and London isn’t exactly swinging for struggling, unemployed actors Withnail (Richard E. Grant) and “I” (Paul McGann). Living amongst the crumbling squalor of a Camden flat their uneventful existence is fuelled by cheap drugs, bad booze and lighter fluid. When Withnail’s eccentric Uncle Monty (Richard Griffiths) offers them his cottage retreat, both Withnail and “I” decide to escape to the glorious English countryside for a carefree weekend. But what they find is less than idyllic as they’re forced to contend with disastrous weather conditions, hostile locals and the amorous motives of a certain Uncle Monty. It’s the end of the greatest decade in the history of mankind and there’s going to be a lot of refugees. Written and directed by Bruce Robinson, this twisted, timeless and acerbic masterpiece is a genuine cult classic. Starring Richard E. Grant and Paul McGann in career defining roles, Withnail and I is one of the most hilarious and iconic comedies of British cinema.